NAKATOMI will once again be at Flatstock this year during the SXSW music conference! From March 15-17, we’ll be at the Convention Center along with 100’s of other silkscreen poster artists from around the world! Flatstock is FREE TO ATTEND and NO BADGE REQUIRED, so come on down! Blunt Graffix’ Matt Dye will be IN AUSTIN at our booth for a rare appearance and signing! 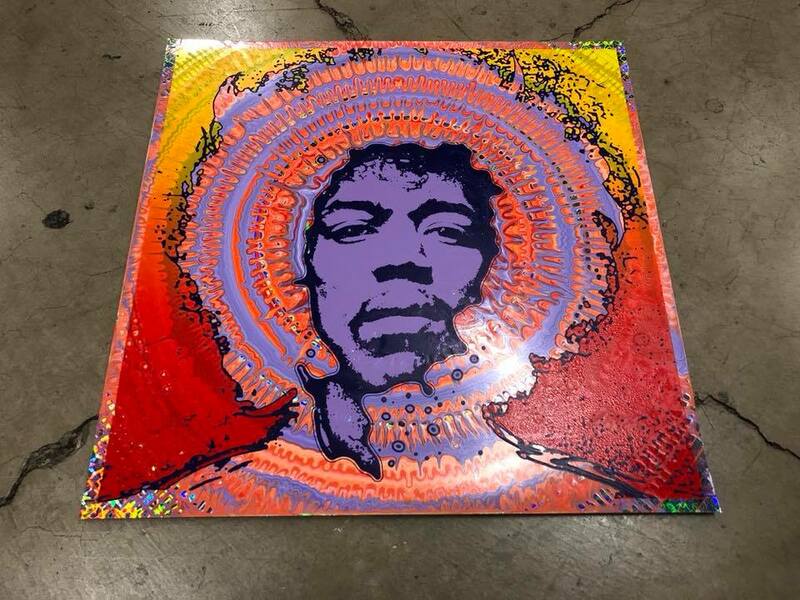 He will be releasing his brand new “Spin-Art” print, one of which is pictured above! Each print be totally unique, and centrifuged by hand. The prints measure 18″ Square and each will signed and marked ‘OG’ by Matt. $150 each. Blunt Graffix will be signing at the Nakatomi Booth at Flatstock on SATURDAY the 17th starting at NOON. We will only have 40 copies available, so BE THERE! 2 new PAUL POPE prints! Zooball will be $50 for the regular edition, and $60 for the variant. 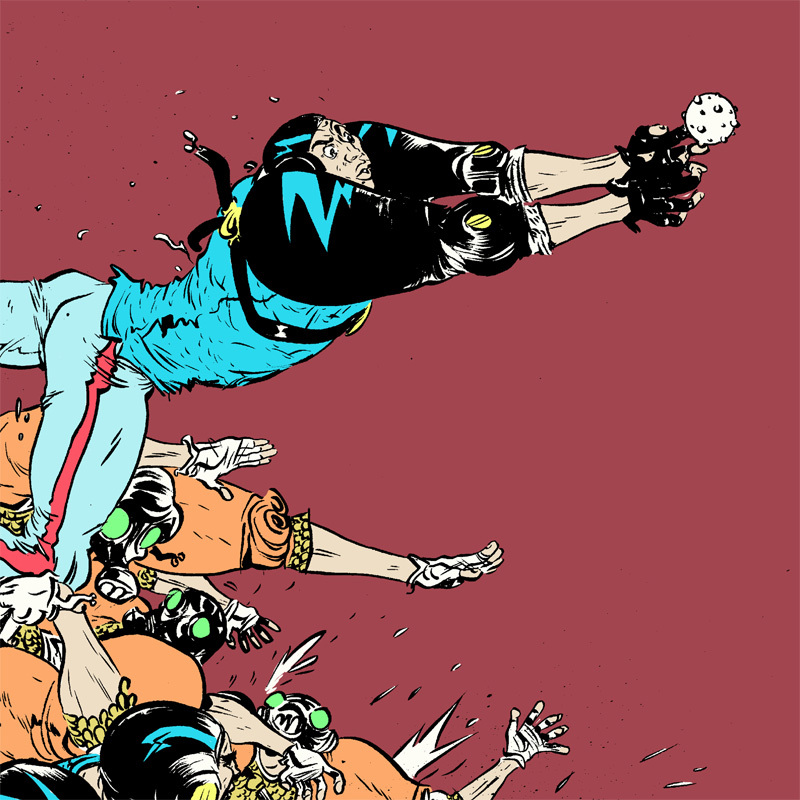 We will have Paul Pope’s prints starting at the opening of the show on Thursday, March 15th! Don’t forget we’ll also have copies of Tim Doyle’s official SXSW 2018 print available at the booth all weekend. If you need poster tubes to get the prints back safely, no worries- there will be some sold at the convention and the Nakatomi booth! If you’re in the Austin area from March 15-17, swing on out to the Convention Center at 4th and Trinity! 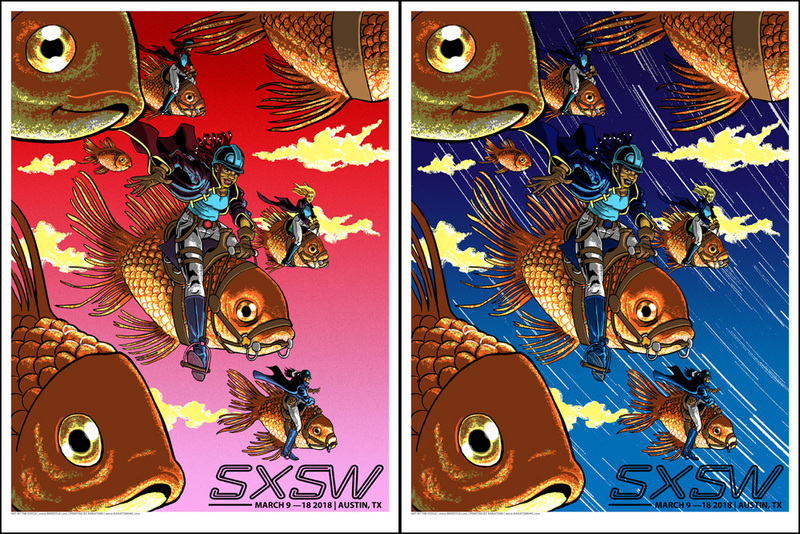 ← Official SXSW poster by Doyle- available at Flatstock!